We’d love your help. Let us know what’s wrong with this preview of The Mystery of Children by Mike Mason. To ask other readers questions about The Mystery of Children, please sign up. I have never before had reason to continue reading a book that angrified me so much. Buried in abysmal theology and ridiculously unsupported assumptions and assertions were the occasional brilliant flashes of insight that somewhat merited the subtitle. I am astonished at the positive reviews. I really enjoyed this book. I highly recommend it to parents and any adults that want to learn more about a childlike faith. 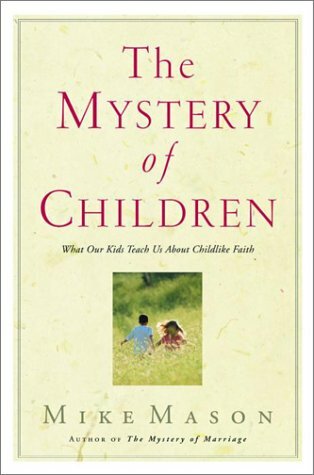 It opened my eyes to some of my tendencies with my kids, but would be a good read to focus more on child like faith even if you don't have kids. Great book. Everyone should read parent or not but especially parents. I liked this a lot, but it was so convicting! Mike Mason is the best-selling, award-winning author of The Blue Umbrella, The Mystery of Marriage, The Gospel According to Job, Champagne for the Soul, Twenty-One Candles, and many others. He has an M.A. in English and has studied theology at Regent College. He lives in Langley, BC, Canada, with his wife.